Episode 46! Stu and Billy are back at the flicks this week as they watch the highly anticipated John Wick: Chapter 2! 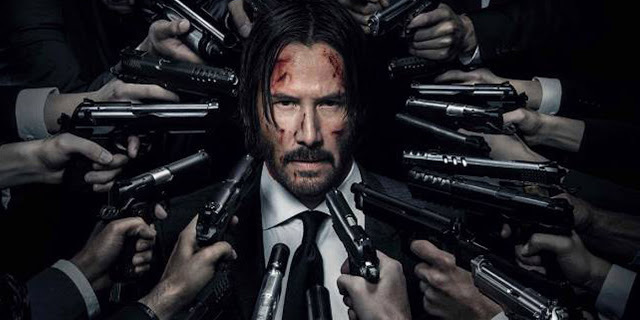 Directed by Chad Stahelski (John Wick), John Wick: Chapter 2 is the sequel John Wick and is set a few days after the first film. After tracking down his stolen 1969 Ford Mustang Mach 1 retired super-assassin John Wick is asked to repay a past favour by Italian Gangster Santino D'Antonio. Having no choice but to accept the assignment, Wick reluctantly travel to Rome to take out D'Antonio's sister, the ruthless capo atop the Italian Camorra crime syndicate. The film stars Keanu Reeves, Riccardo Scamarcio, Common, Ruby Rose, Laurence Fishburne, Ian McShane, Lance Reddick, Claudia Gerini and many others. We do provide a spoiler warning when we start to go into a more in depth analysis of the film. As well as the films, Stu and I discuss what else we've been watching this week, and look over the latest in movie news.